When you have decided to invest in a property, you definitely want a property which is worth your money. Isn’t it? You definitely don’t want something which doesn’t give you the value of your money. Therefore, you should always do a thorough research before investing in the property. This is a very basic principle you should always follow no matter whether you are looking for a residential or a commercial property. Remember that the real estate industry is full of scams. Some of the brokers can offer you a great deal, while many others are only there to cheat you. Hence, you don’t need to worry. Rather than believing on the outer appearance or choosing a property because of it’s low price, it is always a good idea to find a property which meets all your specific needs. One of the very best ways to look for a great property is by undertaking building & pest inspection services. This is one of the best services for families or individuals who want to make sure that the property they have chosen is free from any kind of pests or termites. Most of the times, sellers cannot tell you about the real condition of the property. Of course, their objective is to sell the property as soon as they can. And to get it done, they always speak of the most exceptional features. If you randomly take a decision, you may end up investing in a property which will need repairs in the long run. You can easily deal with the situation if you have an expert who will take care of all these aspects. However, it is extremely important to note that there is a limit to an extent a building and pest inspector can help. 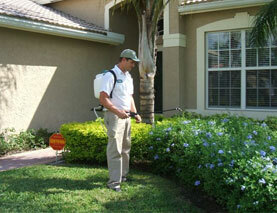 Therefore, you should keep all these tips in mind to choose the best professional for building pest Inspection. Previous PostStop Getting Cheated By Commercial Pest Control CompaniesNext PostWhy It Makes Sense To Go For A Building & Pest Inspection?